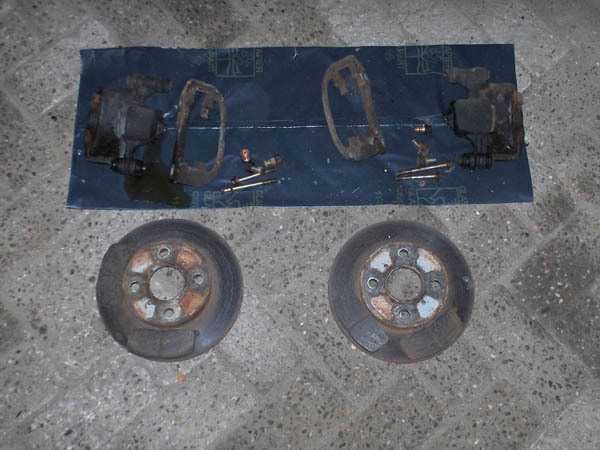 Because my Corolla was the GT-S model, it came with brake discs in the rear as standard. That also made the brakes easy to remove. It didn't take me long before both the front and rear brakes lay next to the car. I wasn't going to use the front brakes anymore, so I laid them aside and haven't looked at them since. 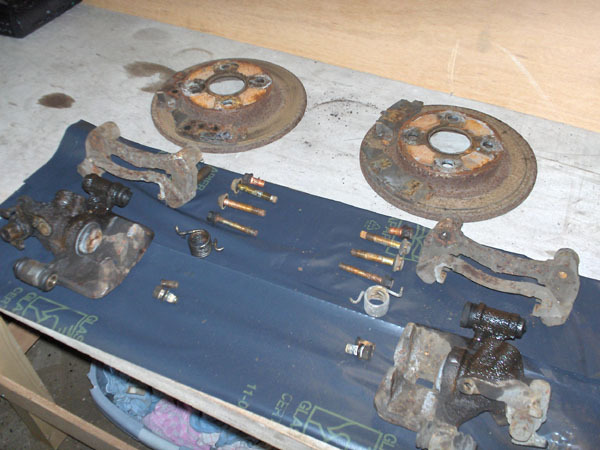 But the rear brakes would need a refurbishment. That was a little more work as the rear brake caliper also contain the handbrake mechanism. So they were also taken apart to get them ready for refurbishment and everything else I was planning on doing to them. Now I could move on to the next step. Getting them ready for powder coating.